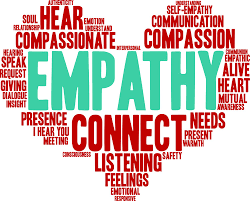 Is one day enough to understand someone else's experience; is it enough time to build empathy? In light of this afternoon’s national conversation on bias at Starbucks, I began wondering if an afternoon is enough to change a mindset, to initiate a larger national discussion on difference, and to cover all the facets of diversity? I imagine not, but perhaps it’s a beginning. And, in order to understand another’s bias and our own, can we ever really put ourselves in someone else’s shoes? My literal shoe size is 8.5, but my figurative shoe size is much more significant. Walking in my shoes includes the baggage I carried for years, as someone who hid my limb difference from the world– the fear, the obsession, the paranoia and the shame. (My secret was my disability.) And today, my shoes are also filled with the reality of still having a missing hand, learning to accept it, and building the courage to flaunt it. During a recent work staff meeting, we watched Chimamanda Ngozi Adichie’s TED Talk: The Danger of a Single Story and were asked initially to share out one thing that we wished people knew about us? I quickly answered that I wanted people to know how much I fight to be perfect, out of a fear that people will think less of me because of my “disability.” I went on to share that sometimes I wondered what it would be like if my friends and colleagues could bandage their left hand in a ball for one day and lose its functionality–and I questioned if they would begin to understand my world by that simple act. How would my friends handle the stares of random people at the grocery store while they tried to balance the shopping basket, for example? Would they understand my drive to be Type A, as a need to control my environment and be seen as capable? Would they understand my desire sometimes to tuck my hand away and hide it, so that nobody would look, nobody would ask, and nobody would judge? In that short timeframe, would they realize how many solutions I have had to come up with to compensate for living in a two-handed world? Would they understand my new-found desire to share my difference out loud? Moreover, would one day in my shoes be enough to understand all my experience and what makes me me? stigmas differently? Would I understand privilege more deeply? Lucas–I’m Not Racist)? Would I see any flaws in my arguments and viewpoints? understand the import of the glass ceiling and the #metoo movement? future state of my gender? Constitution, and the right to bear arms differently? pro-choice, equal rights, and welfare differently? What if I were transgender for the day: how would I better understand the difficult choice and process of switching my gender? What if I were homophobic for the day: how would I understand homophobia and my reasons? as capable, smart, and able– not limited and confined? understanding of how superficial and difficult dating online can be? stares? Would I want to redefine the beauty standards? understand the power of the mind differently? temptation and gratification? Would I understand the power of the high? Would I realize that it’s a disease? understand anger and sadness differently? What if I were a veteran for a day: how would I understand PTSD? physical wounds that I could and couldn’t explain to civilians? the effect on intimate relationships differently? when he/she said that it wouldn’t happen again and that he/she loved me? Would I understand the danger of leaving? understand the fear of intimacy? want people to know, to think, and to advocate on behalf of me? The list can go on and on, and even the questions can differ based on each person’s experience. The differences form the lens through which we may understand our world and they may restrict us from understanding others experiences fully because of our bias. Given how complicated and nuanced our lives are, is one day enough to understand someone else’s experience; is it enough time to build empathy? (Or in the case of Starbucks, one afternoon.) If not one day, how long do you need to walk in someone else’s shoes to indeed be able to have and show empathy? I don’t know the answers, but I am convinced that we need to start the discussion. And, one of the first steps in our understanding of others is to honestly believe in our heart of hearts that it’s okay to be different. It’s okay to look different, it’s okay to think different, and it’s okay to have different experiences. When we can accept and acknowledge that we are all different, then and only then, can we have real conversations and begin to the task of understanding and showing empathy toward others. Ms. Rathblott has been a leader in the nonprofit sector for nearly 20 years, 15 of which she spent at Big Brothers Big Sisters of New York City where she played a central role in its expansion. There she held a series of progressively responsible positions, ultimately serving as the associate executive director where she oversaw six major agency departments and corresponding board committees ranging from finance to public relations /marketing to operations. Ms. Rathblott holds a B.A. from Goucher College and an MSW from Boston University. She was the youngest alum awarded the Goucher College Excellence in Public Service in 2005. Ms. Rathblott joined HEAF at the President and CEO in January 2013.